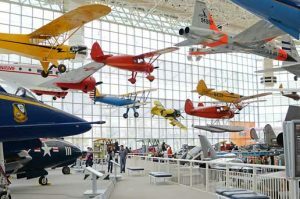 Event Description: A sterling location for a corporate teambuilding event, Boeing’s Museum of Flight is the greatest aviation museum west of the Smithsonian (in D.C.), a dazzling repository of all things having to do with flight –­ from the dawn of aviation to the emergence of the Space Age. Located just 15 minutes south of Seattle at Boeing Field, this is the place to go on the West Coast to learn about the history of aircraft: private, commercial and military. Here you can climb aboard Air Force One, sit in the cockpit of a fighter jet, and explore the sleek Concorde. During your corporate teambuilding treasure hunt… expect to encounter a reproduction of the 1903 Wright Flyer; a scale-model lunar module; a functioning control tower; the Red Barn (Boeing’s original factory); a World War I Sopwith Triplane, and so much more. Your teambuilding is sure to take off at Seattle’s remarkable Museum of Flight! 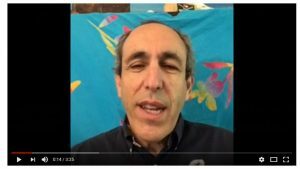 See our other Seattle corporate team building events.